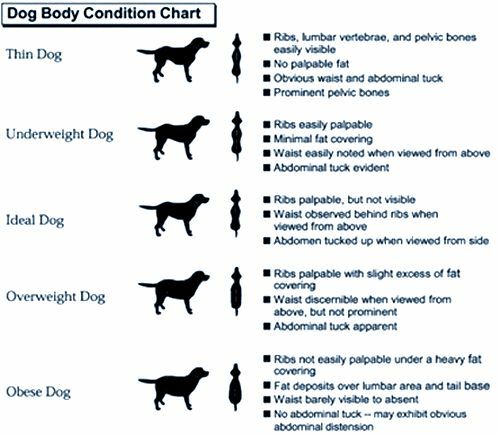 What do you do when your dog is overweight? Just like humans, dogs can put on extra weight in the winter. Now that spring is in the air, you might be seeing overweight dogs as you’re getting out more and more. As an owner, it can be hard to notice if your dog has put extra pounds because you see them every day and may not notice the weight gain. 5 extra pounds can make a difference in your dog’s well being. When you stand over your dog, you should be able to see a waistline. If not, it’s time to be proactive and get your dog to a healthy weight. Solid Gold Holistique Blendz Food is ideal for overweight dogs; it is low in calories and fat, without compromising nutrition. Holistique Blendz uses fish as it’s protein source and has a beautiful ingredient list that will not leave your dog feeling hungry. Holistique Blendz can also be used as a nutritionally balanced base, to which additional raw (or cooked) meat, Buckaroo Beef or canned food can be added, if desired. 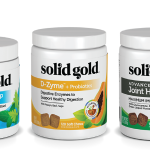 For an excellent vitiman/ mineral supplement with digestive enzymes, we recommend using Solid Gold SeaMeal to complement this diet. Take care to measure out the food you give your dog to make sure you are not overfeeding. I recommend using the guidelines on the back of the package and feeding your dog twice a day, once in the AM and once in the PM. If you’re thinking about treats, why not use vegetables? Think of throwing your dog a carrot in addition to the bone! 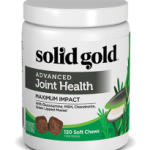 To find a Solid Gold retailer that carries this product, visit Solid Gold Northland’s website.